In which strong performances transcend stagnant storytelling. The Ups-to-Downs ratio is positive, but very little happened on this show. 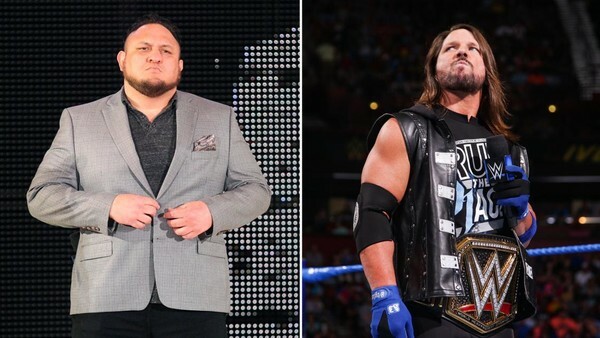 Samoa Joe and WWE Champion AJ Styles spoke at each other from opposite ends of the building, as they've been doing for weeks. Jeff Hardy and The New Day were given textbook "momentum-boosting" victories ahead of their SummerSlam title challenges. The Charlotte Flair/Becky Lynch relationship remains exactly where it was one week ago, despite their latest tag victory. Elsewhere, the Bludgeon Brothers squashed another bunch of nerds, The Miz & Maryse plugged their show, and Randy Orton played hide and seek with himself backstage. Most of these things were fine. They served a purpose and were well-executed by the performers, so it's impossible to mark them as anything but Ups. Still, excitement levels were low. SmackDown's weekly standards are generally high, but it's still an extremely formulaic show, despite the gulf in quality between WWE's blue and red brands. A lack of progression was the key issue with last night's show, as all but one of SD's most compelling programmes feel unchanged from the previous week. It wasn't a bad episode at all, just a stagnant one, and it'd be nice to see the writers take the odd risk every now and then.